This worksheet is about the seven days of the week, the months of the year and the four seasons. Students learn about the meaning of the names of the days and they also practise their spelling. 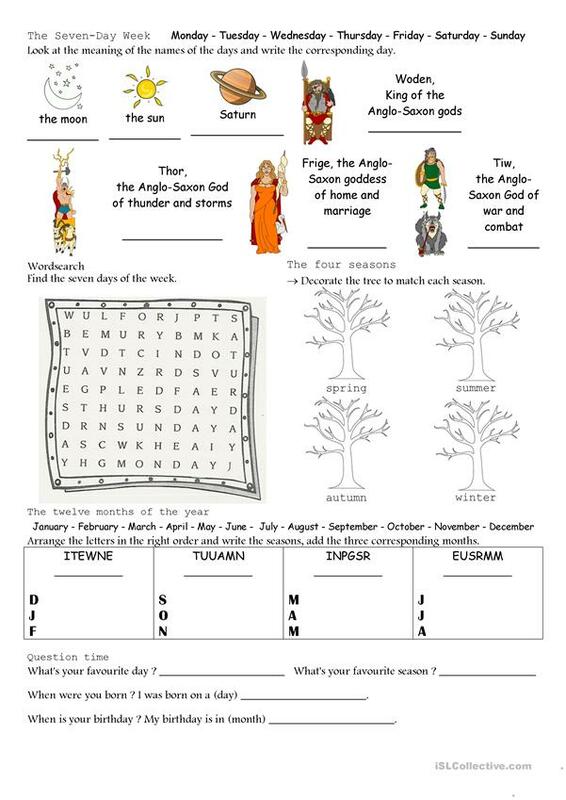 There are various activities, a wordsearch, questions, anagrams and even a coloring activity for the seasons. The above downloadable printable was created for high school students at Beginner (pre-A1), Elementary (A1), Pre-intermediate (A2) and Intermediate (B1) level. It is a valuable material for strengthening your groups' Writing skills. It features the vocabulary topic of Days of the week.